A PHYSICAL DANCE ACTIVITY, that is FUN, EASY, RESHAPES YOUR BODY and LIFT YOUR MOOD? keeps you ENGAGED AND COMMITTED to an ACTIVE life? to EXPERIENCE THE LIFE FORCE WITHIN YOU, and EMBRACE AN EMPOWERING OUTLOOK OF YOUR LIFE? to be surrounded by SUPPORTING MULTICULTURAL GROUP, have a sense of BELONGING, and make new FRIENDSHIPS especially for those new to the area or visitors and travelers? to MOVE through life with JOY. 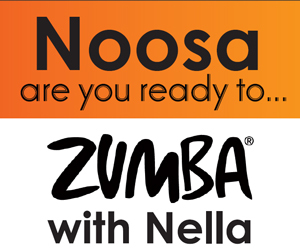 Nella was the FIRST EVER Zumba Instructor in Australia. She has taught since 2008 and has taken her teachings to Indian Himalayas, Kuala Lumpur, Thailand, and Russian Retreats, and inspired others to teach the program. She has added “Move in Joy” a philosophy of life to her class. “Move in Joy” adds meaning to the dance moves and invites participants to embrace acceptance, trust, and gratitude to life. What is Move in Joy with Zumba? It is a safe environment, where a welcoming and friendly group of people filled up space with elevated dance collective energy that allows you to have a full expression of your being, release your emotions and experience an explosion of joy while you are getting fit. Countless studies show exercise produces endorphins and serotonin, which are natural mood lifters. When you come and dance, those happy juices start flowing. Research has shown that engaging in just 20 minutes of physical activity can produce a noticeable mood lift which can last up to 12 hours. It is easy, no dance experience is required, fun, and probably the best workout you will ever do, and best yet … you don’t even feel like you are exercising your body and mind! Come on, let’s dance!